"How come we don't have a school store, Mr. Baker?" A senior came into class this morning, frustrated that she needed a notebook or something, yet legitimately had not been able to get it. This was it - my chance to shut her down and focus on performing rotations on 2-dimensional shapes in the coordinate plane, or to grab this and run with it. "That's a good question. I don't know. You should propose it to Dr. Hopper." I believe our building principal has a soft-spot for student-led initiatives, so I knew that a passionate plea, supported by a thoughtful written proposal had a shot. "Hey, everyone," I got the class's attention. 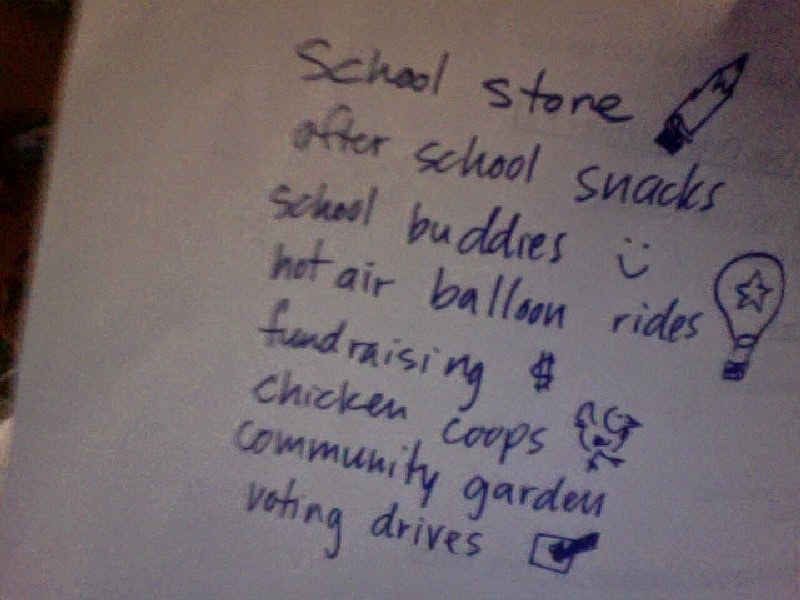 "Elle is proposing that we start up a school store, and we're looking for people to help with the proposal. Who's in?" A couple hands shot up, but they didn't know what they were actually volunteering for, so we settled on just one other student. I spent the next couple minutes sharing our principal's contact info and outlining/facilitating aspects she would need to consider for their proposal. We got it to a "this baby is yours now; run with it" place, and resumed class, but I fully intend to return to this proposal if/whenever it comes up again. "Tell Dr. Hopper, I will sponsor you," I told the school-store team. (Which sounds crazy for a father of 3 that's already on 3 committees and mentoring a first-year teacher). But I meant it. And not because I think they won't follow through. We ache and plea for chances to inject "relevant" work into our math classes, and time to develop "real-world" problems to include in our unit instructional plans, but how often do we ignore the opportunities right in front of us because they might fail? What would your students come up with? 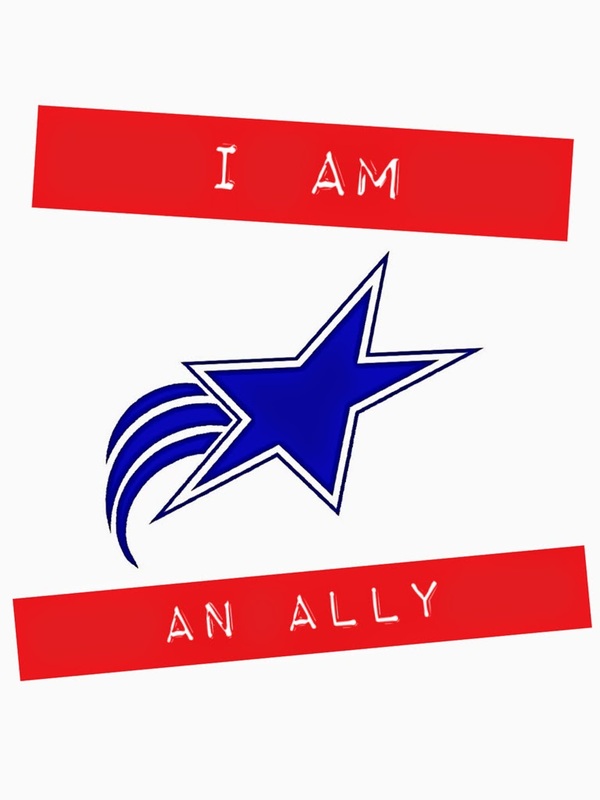 I have a motto for myself this year, and I made a sign that is taped outside my door: "I am an ally." A friend asked me last week what it meant, what was I fighting against. I told her, "I'm fighting for kids who need someone to care for them. Kids who need someone to listen. Kids who need an advocate. Kids who need someone to stand with them. I think its going to mean different things to different kids. I don't even have to agree with them all the time (USA and USSR in World War II, anyone?)." I have no idea where this ally gig is going to lead the rest of this year, and no one else has even asked me about the sign, but if for no one else, I know, for MYSELF, that I committing to supporting cockamamy ideas as much as I have capacity for. Have You Heard of "Twice Exceptional" Students?